You will have to look closely to see the unusual details of this Viking anchor, and listen closely to the story that inspired it. The bail is 12 gauge twisted wire that will accommodate 6-8mm leather, rope or chain, even more should you reshape it. The weight on this one is 17gms in Argentium 935 Pro silver. The patterns are on all sides. 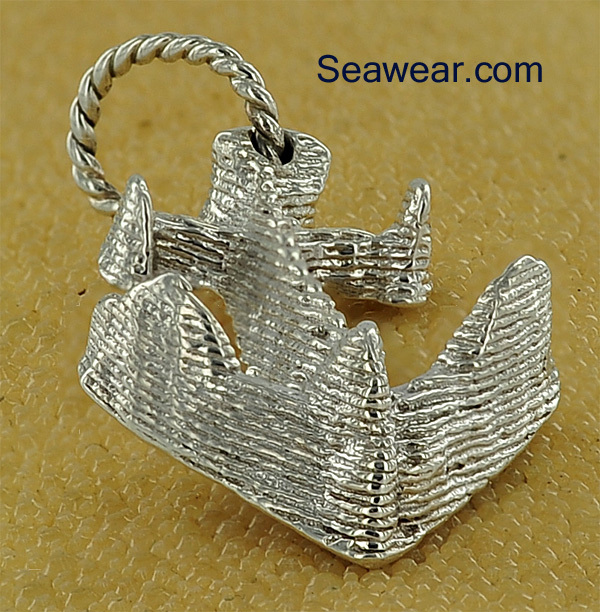 The only smooth polished surface is the very top of the anchor where the molten metal is poured. This is highly polished. Hallmark can be placed here or on the back side. Thousands of years ago when the Vikings were conquering the world, a ship lost it's anchor. None wanted to face the wrath of Viking King Boru and a quick thinking long red bearded man made for port into Western Ireland. While two set about carving an anchor shape into the rocks of the seashore, the others gathered metal to melt. A crude anchor shape was cut into the stone, the metals melted and poured into the stone mold. The finished anchor took on the shapes and patterns of the stones it was cast in. 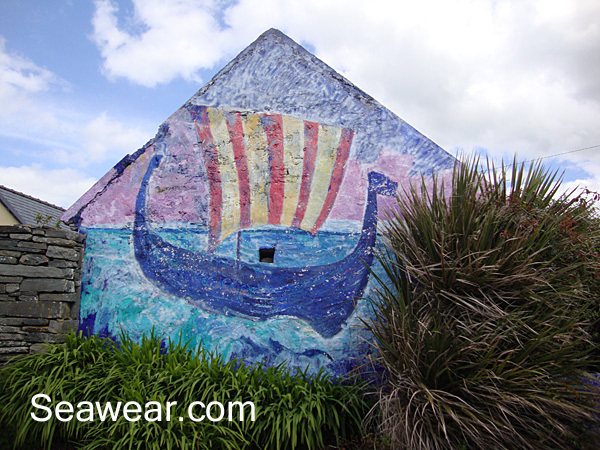 Along with the history of the beautiful rugged Western Ireland. 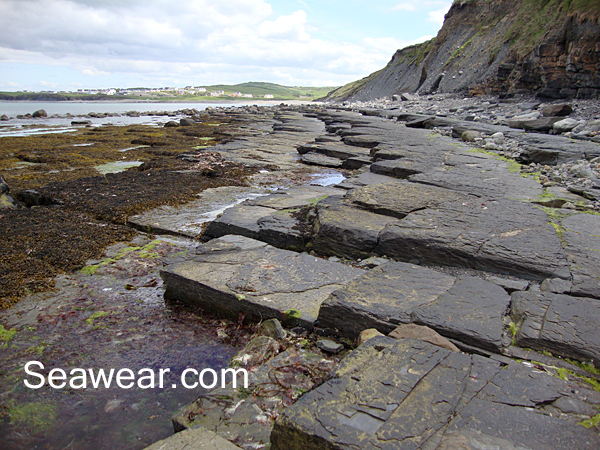 Layers and layers of shale like rock make up the coast. Stepping stones for the Celtic Vikings. Pure white silver, on an off white stingray skin. The black you see is reflections. With age it will only look better as it takes on a patina in the ridges. These images are upon a Viking sword. The top of the anchor was kept polished for shaping of Viking swords, knives and tools. This was able to be done underway on to the next land to conquer! 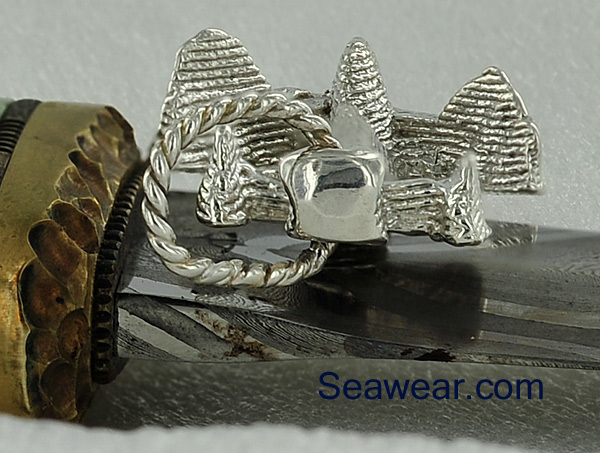 The same Viking anchor, only done in 14kt gold. The bail is a 14 gauge smooth wire. The bail opening will accept up to 10-11mm chain. Not the slight curve of the flukes. 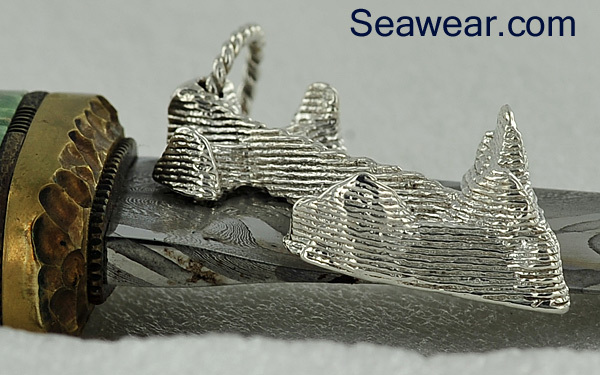 Modern sailors will recognize the made in Scotland plow anchor similarity! 1" inch across the flukes. 1.75" tall without the bail. 2 3/16" total hanging length with bail. If you are not on a phone and have a real screen, see the Viking Anchor larger. Just a slight change of angle brings out different colors and reflections. The black is merely lenses glass being reflected back into the gold.